For other uses, see Penance (disambiguation). "Penitent" redirects here. For other uses, see Penitente (disambiguation). Penance is repentance of sins as well as an alternate name for the Catholic, Eastern Orthodox, and Oriental Orthodox sacrament of Reconciliation or Confession. It also plays a part in confession among Anglicans and Methodists, in which it is a rite,   as well as among other Protestants. The word penance derives from Old French and Latin paenitentia, both of which derive from the same root meaning repentance, the desire to be forgiven (in English see contrition). Penance and repentance, similar in their derivation and original sense, have come to symbolize conflicting views of the essence of repentance, arising from the controversy as to the respective merits of "faith" and "good works". Word derivations occur in many languages. The doctrine of sin is central to Christianity, since its basic message is about redemption in Christ. Christian hamartiology describes sin as an act of offence against God by despising his persons and Christian biblical law, and by injuring others. In Christian views it is an evil human act, which violates the rational nature of man as well as God's nature and his eternal law. According to the classical definition of St. Augustine of Hippo sin is "a word, deed, or desire in opposition to the eternal law of God." Protestant Reformers, upholding the doctrine of justification by faith, held that repentance consisted in a change of the whole moral attitude of the mind and soul (Matthew 13:15; Luke 22:32), and that the divine forgiveness preceded true repentance and confession to God without any reparation of "works". Rather, "God's kindness is meant to lead you to repentance" (Romans 2:4, ESV). In his Of Justification By Faith, Calvin says: "without forgiveness no man is pleasing to God." Nonetheless, in traditions formed by a Calvinist or Zwinglian sensibility there has traditionally been a stress on reconciliation as a precondition to fellowship. The reproach of Nathan and the penance of King David (Paris Psalter, folio 136v, 10th century). The attitude of penance or repentance can be externalized in acts that a believer imposes on himself or herself, acts that are themselves called penances. Penitential activity is particularly common during the season of Lent and Holy Week. In some cultural traditions, this week, which commemorates the Passion of Christ, may be marked by penances that include flagellantism or even voluntary pseudo-crucifixion. Advent is another season during which, to a lesser extent, penances are performed. Acts of self-discipline are used as tokens of repentance. Easier acts of self-discipline include devoting time to prayer or reading of the Bible or other spiritual books. Examples of harder acts of self-discipline are fasting, continence, abstaining from alcohol or tobacco, or other privations. Self-flagellation and the wearing of a cilice are more rarely used. Such acts have sometimes been called mortification of the flesh, a phrase inspired by Romans 8:13: "If you live according to the flesh you will die, but if by the Spirit you put to death the deeds of the body, you will live." Lent is a solemn religious observance in the Christian liturgical calendar that begins on Ash Wednesday and ends approximately six weeks later, before Easter Sunday. The purpose of Lent is the preparation of the believer for Easter through prayer, doing penance, mortifying the flesh, repentance of sins, almsgiving, and denial of ego. This event is observed in the Anglican, Eastern Orthodox, Lutheran, Methodist, Moravian, Oriental Orthodox, Reformed, and Roman Catholic Churches. Some Anabaptist and evangelical churches also observe the Lenten season. Holy Week in Christianity is the week just before Easter. It is also the last week of Lent, in the West, – Palm Sunday, Holy Wednesday, Maundy Thursday, Good Friday, and Holy Saturday – are all included. However, Easter Day, which begins the season of Eastertide, is not. However, traditions observing the Easter Triduum may overlap or displace part of Holy Week or Easter itself within that additional liturgical period. Crucifixion is a method of capital punishment in which the victim is tied or nailed to a large wooden beam and left to hang, perhaps for several days, until eventual death from exhaustion and asphyxiation. Such acts are associated also with the sacrament. In early Christianity, public penance was imposed on penitents, the severity of which varied according to the seriousness of the offences forgiven. Today the act of penance or satisfaction imposed in connection with the sacrament for the same therapeutic purpose can be set prayers or a certain number of prostrations or an act or omission intended to reinforce what is positive in the penitent's behaviour or to inhibit what is negative. The act imposed is itself called a penance or epitemia. In behavioral psychology, reinforcement is a consequence applied that will strengthen an organism's future behavior whenever that behavior is preceded by a specific antecedent stimulus. This strengthening effect may be measured as a higher frequency of behavior, longer duration, greater magnitude, or shorter latency. There are two types of reinforcement, known as positive reinforcement and negative reinforcement; positive is where by a reward is offered on expression of the wanted behaviour and negative is taking away an undesirable element in the persons environment whenever the desired behaviour is achieved. In the Eastern Orthodox Church, penance is usually called Sacred Mystery of Confession. In Orthodoxy, the intention of the sacramental mystery of Holy Confession is to provide reconciliation with God through means of healing. Similar to the Eastern Catholic Churches, in the Eastern Orthodox Church there are no confessionals. Traditionally the penitent stands or kneels before either the Icon of Christ the Teacher (to the viewers' right of the Royal Door) or in front of an Icon of Christ, "Not Made by Hands". This is because in Orthodox sacramental theology, confession is not made to the priest, but to Christ; the priest being there as a witness, friend and advisor. On an analogion in front of the penitent has been placed a Gospel Book and a Crucifix. The penitent venerates the Gospel Book and the cross and kneels. This is to show humility before the whole church and before Christ. Once they are ready to start, the priest says, “Blessed is our God, always, now and ever, and unto the ages of ages,” reads the Trisagion Prayers and the Psalm 50 (in the Septuagint; in the KJV this is Psalm 51). An icon is a religious work of art, most commonly a painting, in the cultures of the Eastern Orthodox Church, Oriental Orthodoxy, the Roman Catholic, and certain Eastern Catholic churches. The most common subjects include Christ, Mary, saints and angels. Although especially associated with "portrait" style images concentrating on one or two main figures, the term also covers most religious images in a variety of artistic media produced by Eastern Christianity, including narrative scenes. Icons can represent various scenes in the Bible. An analogion is a lectern or slanted stand on which icons or the Gospel Book are placed for veneration by the faithful in the Eastern Orthodox Church and Eastern Catholic Churches. It may also be used as a lectern to read from liturgical books during the divine services. The Gospel Book, Evangelion, or Book of the Gospels is a codex or bound volume containing one or more of the four Gospels of the Christian New Testament – normally all four – centering on the life of Jesus of Nazareth and the roots of the Christian faith. The term is also used of the liturgical book, also called the Evangeliary, from which are read the portions of the Gospels used in the Mass and other services, arranged according to the order of the liturgical calendar. The priest then advises the penitent that Christ is invisibly present and that the penitent should not be embarrassed or be afraid, but should open up their heart and reveal their sins so that Christ may forgive them. The penitent then accuses himself of sins. The priest quietly and patiently listens, gently asking questions to encourage the penitent not to withhold any sins out of fear or shame. After the confessant reveals all their sins, the priest offers advice and counsel. The priest may modify the prayer rule of the penitent, or even prescribe another rule, if needed to combat the sins the penitent struggles most with. Penances, known as epitemia, are given with a therapeutic intent, so they are opposite to the sin committed. Epitemia are neither a punishment nor merely a pious action, but are specifically aimed at healing the spiritual ailment that has been confessed. For example, if the penitent broke the Eighth Commandment by stealing something, the priest could prescribe they return what they stole (if possible) and give alms to the poor on a more regular basis. Opposites are treated with opposites. If the penitent suffers from gluttony, the confessant’s fasting rule is reviewed and perhaps increased. The intention of Confession is never to punish, but to heal and purify. Confession is also seen as a “second baptism”, and is sometimes referred to as the "baptism of tears". In Orthodoxy, Confession is seen as a means to procure better spiritual health and purity. Confession does not involve merely stating the sinful things the person does; the good things a person does or is considering doing are also discussed. The approach is holistic, examining the full life of the confessant. The good works do not earn salvation, but are part of a psychotherapeutic treatment to preserve salvation and purity. Sin is treated as a spiritual illness, or wound, only cured through Jesus Christ. The Orthodox belief is that in Confession, the sinful wounds of the soul are to be exposed and treated in the "open air" (in this case, the Spirit of God. Note the fact that the Greek word for Spirit (πνευμα), can be translated as "air in motion" or wind). In summary, the Priest reminds the penitent what he or she has received is a second baptism, through the Mystery of Confession, and that they should be careful not to defile this restored purity but to do good and to hear the voice of the psalmist: “Turn from evil and do good” (Psalm 34:14). 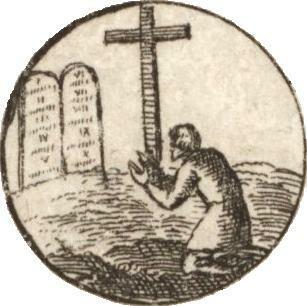 But most of all, the priest urges the penitent to guard him- or herself from sin and to commune as often as permitted. The priest dismisses the repentant one in peace. Penance, while a duty, is first of all a gift. No man can do any penance worthy of God's consideration without His first giving the grace to do so. In penance is proclaimed mankind's unworthiness in the face of God's condescension, the indispensable disposition to God's grace. For though sanctifying grace alone forgives and purges sins from the soul, it is necessary that the individual consent to this action of grace by the work of the virtue of penance,  Penance helps to conquer sinful habits and builds generosity, humility and patience. The following is a brief consideration of Our Lady's four requests: penance, prayer, devotion to her Immaculate Heart and the brown scapular. To those seeking help or in suffering please refer yourself through said means. In the 1966 apostolic constitution Paenitemini Pope Paul VI said, "Penance therefore—already in the Old Testament—is a religious, personal act which has as its aim love and surrender to God: fasting for the sake of God, not for one's own self...  [The Church] reaffirms the primacy of the religious and supernatural values of penitence (values extremely suitable for restoring to the world today a sense of the presence of God and of His sovereignty over man and a sense of Christ and His salvation). In Paenitemini it is affirmed that "[b]y divine law all the faithful are required to do penance." "As from the fact of sin we Christians can claim no exception, so from the obligation to penance we can seek no exemption." Chapter 8 of the Didache enjoined Christians to fast every Wednesday and Friday. In 2011, Catholic bishops in England and Wales reversed their earlier decision to permit Catholics to practice a penance other than meat abstinence on Fridays. They said, in part: “The bishops wish to re-establish the practice of Friday penance in the lives of the faithful as a clear and distinctive mark of their own Catholic identity. … It is important that all the faithful be united in a common celebration of Friday penance. Note that the duty to perform the tasks of your state in life takes precedence over the law of fasting in the precepts of the Catholic Church. If fasting honestly causes one to be unable to fulfill his/her required tasks, it is uncharitable to fast — the law of fasting would not apply. In some religions of Indian origin, acts of hardship committed on oneself (fasting, lying on rocks heated by the Sun, etc. ), especially as part of an ascetic way of life (as monk or 'wise man') in order to attain a higher form of mental awareness (through detachment from the earthly, not punishing guilt) or favours from god(s) are considered penance. In Hinduism penance is widely discussed in Dharmasastra literature. In the Gita, there is a warning against excessive "penance" of a merely physical nature. There is the special term "Tapas", for intense concentration that is like a powerful fire, and this used to be sometimes translated as "penance", although the connotations are different. Confession, in many religions, is the acknowledgment of one's sins (sinfulness) or wrongs. An Act of Contrition is a Christian prayer genre that expresses sorrow for sins. It may be used in a liturgical service or be used privately, especially in connection with an examination of conscience. Special formulae for acts of contrition are in use in the Anglican, Catholic, Lutheran, Methodist and Reformed Churches. In Christianity, contrition or contriteness is repentance for sins one has committed. The remorseful person is said to be contrite. The means of grace in Christian theology are those things through which God gives grace. Just what this grace entails is interpreted in various ways: generally speaking, some see it as God blessing humankind so as to sustain and empower the Christian life; others see it as forgiveness, life, and salvation. Absolution is a traditional theological term for the forgiveness experienced by Christians in the life of the Church. It is a universal feature of the historic churches of Christendom, although the theology and the practice of absolution vary between denominations. In the Catholic Church, the Seal of Confession is the absolute duty of priests not to disclose anything that they learn from penitents during the course of the Sacrament of Penance (confession). Even where the seal of confession does not strictly apply – where there is no specific serious sin confessed for the purpose of receiving absolution – priests have a serious obligation not to cause scandal by the way they speak. Eucharistic discipline is the term applied to the regulations and practices associated with an individual preparing for the reception of the Eucharist. Different Christian traditions require varying degrees of preparation, which may include a period of fasting, prayer, repentance, and confession. 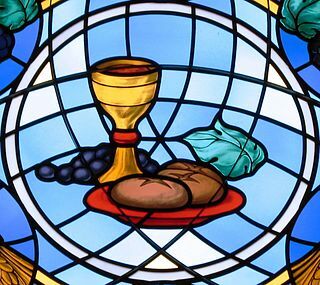 Eucharistic theology is a branch of Christian theology which treats doctrines concerning the Holy Eucharist, also commonly known as the Lord's Supper. It exists exclusively in Christianity and related religions, as others generally do not contain a Eucharistic ceremony. The Sacrament of Penance and Reconciliation is one of the seven sacraments of the Catholic Church, in which the faithful obtain absolution for the sins committed against God and neighbour and are reconciled with the community of the Church. By this sacrament Catholics believe they are freed from sins committed after baptism. The sacrament of Penance is considered the normal way to be absolved from mortal sin, by which one would otherwise possibly condemn oneself to Hell. 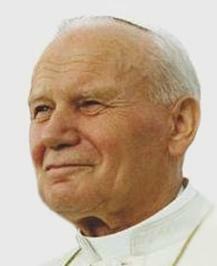 Catholic theology regarding the forgiveness of sins debates whether Christ at the judgment of the individual after their death would allow those with unconfessed mortal sins a chance to repent and save themselves – especially those who had not made plans to confess, or were not mentally ill, coerced, or suicidal. 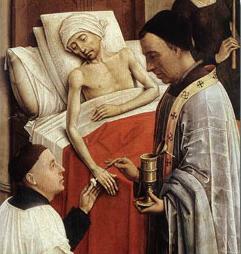 While persons with certain unconfessed mortal sins that were under some form of censure still at their death might not be allowed a Catholic Funeral Mass and burial rites, and while Catholics with unconfessed mortal sins may not receive Communion, these matters, though related, are not the same as whether an individual with unconfessed serious sins is condemned to Hell. Frequent confession is the spiritual practice among some Roman Catholics of going to the sacrament of reconciliation often and regularly in order to grow in holiness. It is a practice that has been recommended by Catholic leaders and saints as a powerful means of growing in love with God, in humility, and having sorrow for sins, since it is considered a personal encounter with Jesus who is the source of God's grace, help, and forgiveness. The Seal of the Confessional is a Christian doctrine which affirms the special protection and privilege of the words spoken during confession between a penitent and his or her pastor. A form of this principle exists in the doctrine and practice of many modern Lutheran churches. Lay confession is confession in the religious sense, made to a lay person. 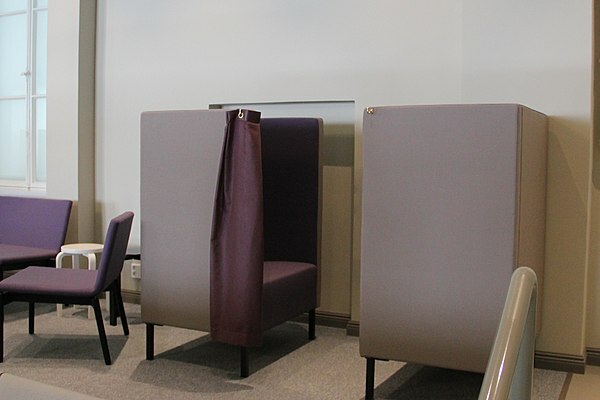 In the Lutheran Church, Confession is the method given by Christ to the Church by which individual men and women may receive the forgiveness of sins; according to the Large Catechism, the "third sacrament" of Holy Absolution is properly viewed as an extension of Holy Baptism. The Lutheran sacraments are "sacred acts of divine institution". Lutherans believe that, whenever they are properly administered by the use of the physical component commanded by God along with the divine words of institution, God is, in a way specific to each sacrament, present with the Word and physical component. They teach that God earnestly offers to all who receive the sacrament forgiveness of sins and eternal salvation. They teach that God also works in the recipients to get them to accept these blessings and to increase the assurance of their possession. There are seven sacraments of the Catholic Church, which according to Catholic theology were instituted by Jesus and entrusted to the Church. Sacraments are visible rites seen as signs and efficacious channels of the grace of God to all those who receive them with the proper disposition. 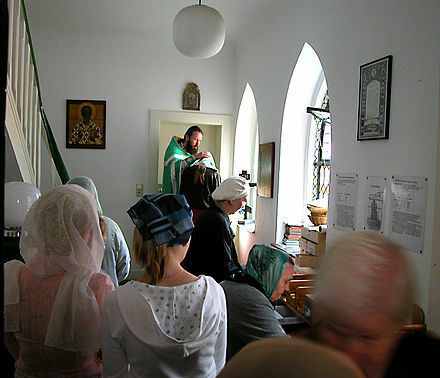 The sevenfold list of sacraments is often organized into three categories: the sacraments of initiation, consisting of Baptism, Confirmation, and the Eucharist; the sacraments of healing, consisting of Reconciliation and Anointing of the Sick; and the sacraments of service: Holy Orders and Matrimony. ↑ A Service of Healing II, after the "Confession and Pardon", states "A Confession and Pardon from 474–94 or A Service of Word and Table V or UMH 890–93, or an appropriate psalm may be used." The words noted here are thus taken from page 52 of the Book of Worship, which details the Service of Word and Table V, specifically the conclusion of the part of the rite titled "Confession and Pardon". ↑ Brackney, William H. (28 January 2010). Studying Christianity: The Critical Issues. Bloomsbury Publishing. p. 81. ISBN 9781441177315. 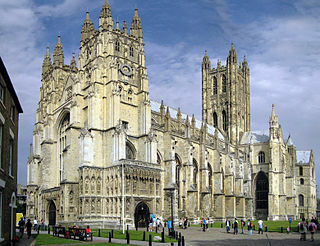 Notably among Protestants, the Church of England practices a non-sacramental rite of penance. ↑ Kidder, Annemarie S. (1 March 2010). Making Confession, Hearing Confession: A History of the Cure of Souls. Liturgical Press. p. 381. ISBN 9780814657294. The rite of private confession in the Episcopal Church incorporates and combines elements of both Lutheran and Roman Catholic practices. 1 2 Chisholm, Hugh, ed. (1911). "Penance" . Encyclopædia Britannica . 21 (11th ed.). Cambridge University Press. p. 84. 1 2 "Augsburg Confession, Article XII: Of Repentance". Bookofconcord.org. Retrieved 2012-09-20. ↑ 1662 BCP: The Order for the Administration of the Lord's Supper, or Holy Communion, p. 8 of 17. ↑ The Thirty-Nine Articles, Article XXV: Of it giving thanks and praise. ↑ 1662 BCP: The Order for the Visitation of the Sick, p. 4 of 7. ↑ See, for example, J.C. Ryle, "The Teaching of the Ritualists Not the Teaching of the Church of England, n.d.
↑ Pruitt, Kenneth (22 November 2013). "Where The Line Is Drawn: Ordination and Sexual Orientation in the UMC". Rethink Bishop. Archived from the original on 28 April 2014. Retrieved 27 April 2014. Sacraments for the UMC include both Baptism and Eucharist. The Roman Catholic and Orthodox traditions count five more, which many Protestants, including the UMC, acknowledge as sacramental: Confession/Absolution, Holy Matrimony, Confirmation/Chrismation, Holy Orders/Ordination, and Anointing/Unction. ↑ Underwood, Ralph L. (1 October 1992). Pastoral Care and the Means of Grace. Fortress Press. p. 76. ISBN 9781451416466. The reason is simply that Wesley assumed the validity of Anglican practice in his day as reflected in the 1662 Book of Common Prayer. His later comments on the priestly office substantiate this. Just as preaching in the Methodist movement was not a substitute for Holy Communion, so for Wesley class meetings did not take the place of personal confession and absolution. ↑ Morris, F.O. (1882). The Ghost of Wesley [extracts from his writings]. p. 10. Retrieved 27 April 2014. ↑ Langford, Andy (1 October 1992). The United Methodist Book of Worship. Abingdon Press. ISBN 0687035724. ↑ F. Belton Joyner Jr. (1 September 2010). The Unofficial United Methodist Handbook. Abingdon Press. p. 102. ISBN 9781426724961. Confession is an "office of the keys" (see Matthew 16:19) belong to all baptized persons, that is, anyone may confess and any believer may pronounce the word of forgiveness. A declaration of forgiveness is permanent and binding because it comes from Jesus Christ himself. ↑ Schwass, Margot (2005). Last Words: Approaches to Death in New Zealand's Cultures and Faiths. Bridget Williams Books. p. 130. ISBN 9781877242342. Occasionally, they may ask the minister to anoint them, hear their confession or absolve them of sin. (In fact, confession and absolution do not have to be done by an ordained minister: one of the cornerstones of Methodism is 'every member is a minister'.) Wherever necessary, the minister encourages the dying person to seek reconciliation with and forgiveness from family members or friends. 1 2 Hickman, Hoyt (2014). 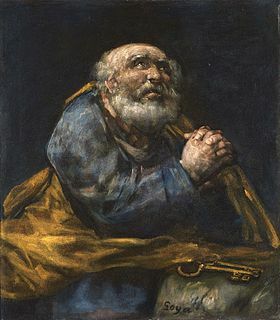 "Prayers of Confession". Interpreter Mazine. The United Methodist Church. Archived from the original on 28 April 2014. Retrieved 27 April 2014. ↑ This Holy Mystery: A United Methodist Understanding of Holy Communion. The United Methodist Church. 1 April 2005. p. 9. ISBN 088177457X. ↑ Bishop Dr Wee Boon Hup (6 September 2013). "Must I confess my sins?". The Methodist Church in Singapore. Retrieved 27 April 2014. ↑ Kolb, Robert (2008). 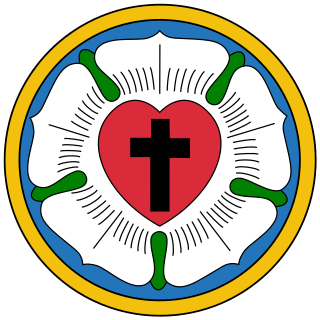 Lutheran Ecclesiastical Culture: 1550 - 1675. Brill Publishers. p. 282. ISBN 9789004166417. The North German church ordinances of the late 16th century all include a description of private confession and absolution, which normally took place at the conclusion of Saturday afternoon vespers, and was a requirement for all who desired to commune the following day. 1 2 3 Wendel, David M. (1997). Manual for the Recovery of a Parish Practice of Individual Confession and Absolution (PDF). The Society of the Holy Trinity. pp. 2, 7, 8, 11. 1 2 Hanna, Edward (1911). "Penance" . In Herbermann, Charles. Catholic Encyclopedia . 11. New York: Robert Appleton Company. ↑ "Celebration of the Christian Mystery Compendium of the Catechism of the Catholic Church, 296". 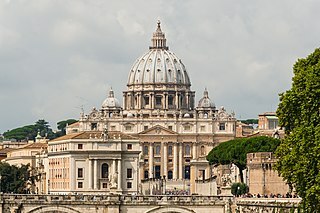 Vatican.va. Retrieved 2012-09-20. ↑ "Catechism of the Catholic Church, 1421". Vatican.va. Retrieved 2012-09-20. ↑ "Catholic Apologetics on Catholic Truth – Penance". Catholic-truth.info. Archived from the original on 2006-03-03. Retrieved 2012-09-20. ↑ "Celebration of the Christian Mystery Compendium of the Catechism of the Catholic Church, 302-303". Vatican.va. Retrieved 2012-09-20. ↑ "Celebration of the Christian Mystery Compendium of the Catechism of the Catholic Church, 304-306". Vatican.va. Retrieved 2012-09-20. ↑ "Catechism of the Catholic Church, 1459". Vatican.va. Retrieved 2012-09-20. ↑ J.A. DiNoia et al., ''The Love That Never Ends'' (Our Sunday Visitor Publishing 1996 ISBN 978-0-87973-852-5), p. 69. Books.google.com. Retrieved 2012-09-20. ↑ Paenitemini, Chapter III A. ↑ Paenitemini, Chapter III, 1.1. ↑ 1983 Code of Canon Law, can.1253. ↑ Baba, Meher (1995). Discourses. Myrtle Beach: Sheriar Press. p. 44. ISBN 978-1880619094. 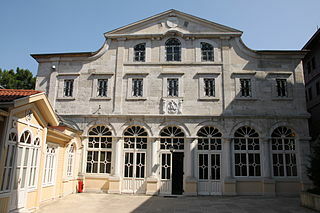 Wikimedia Commons has media related to Penance . Look up penance in Wiktionary, the free dictionary. Hanna, Edward (1911). "Penance" . In Herbermann, Charles. Catholic Encyclopedia . 11. New York: Robert Appleton Company.